Pioneers in the industry, we offer ferrus hms shredded scrap and medium carbon ferro manganese from India. We are involved in the fabrication of exclusive collection of Shredded that is processed under the utmost care of professionals. Our collection possesses excellent anti-corrosive and mechanical properties that enable them to fulfill the demands of several industries. Our collection has received much appreciation from our clients due to their distinguished quality. Shredded Scrap (Grade 211 as per ISRI) and HMS 1&2 we represent one of the largest recyclers in Europe in southern India for bulk and container shipments. The highest volume reached in one year was in 2001, when 16 shipments of 30, 000 Mts each was executed to the ports of Chennai and Cochin in southern India, a first for Kliss and our principal to southern India and for the port of Cochin to receive scrap cargo. We also represent scrap traders who source HMS 1&2, re-rollable scrap, LMS and others from Middle East/Africa shipped in containers. 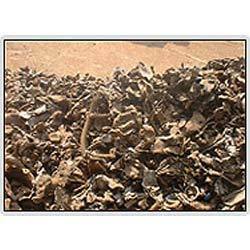 We are renowned amidst the major hms metal scrap suppliers in India. The array includes hms 1&;2 (isri 200-206) shredded scrap (isri 210-211) and stainless steel scrap (isri 314-316 that are sourced from reliable vendors of middle east, us region, UK and Africa. The unmatched quality and efficiency has attracted various industrial sectors to place bulk orders. We also provide containerized and bulk cargos to meet the specific requirements of the clients. Additionally, wholesale stainless steel scrap is also available at the most advantageous deals. 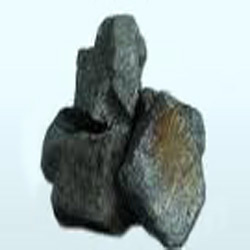 We have specialized ourselves in the fabrication of premium collection of medium Carbon Manganese by utilizing our all resources. Fabricated from quality approved ingredients, our collection is free from any harmful ingredients. Acclaimed for its high strength and durable standards, these are capable to fulfill the demands of several industries in the best possible manner.